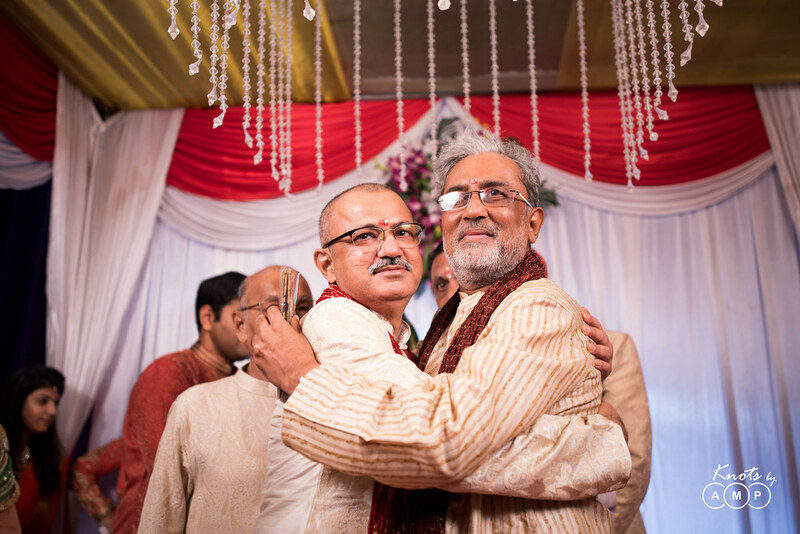 Friendship is a relationship that is bound by no norms of the society. 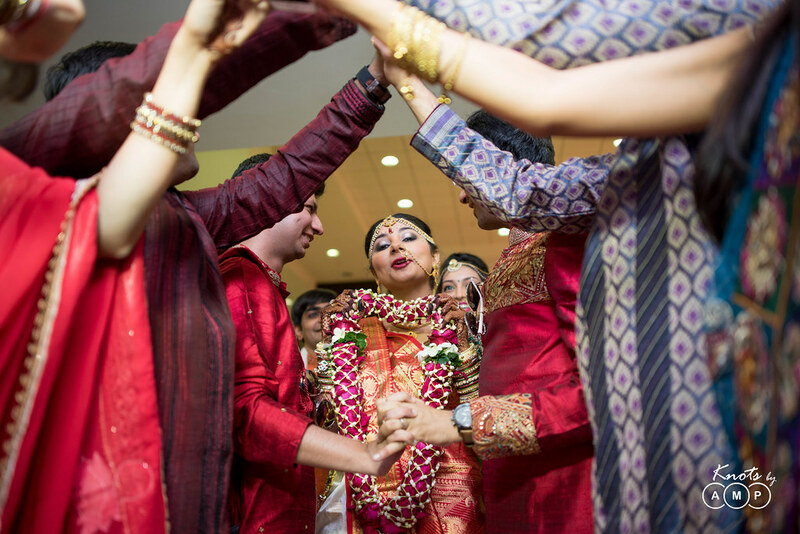 It is the simple joy of being together and being there for each other. 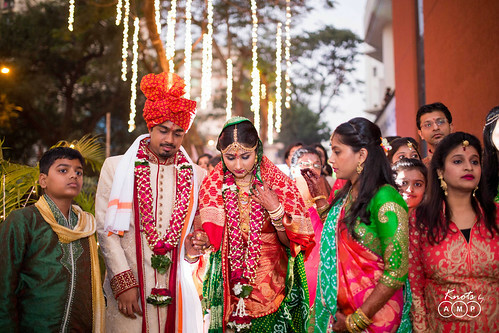 When the foundation of a marriage is laid by one such strong relationship of friendship then there is only ahead to look from there. 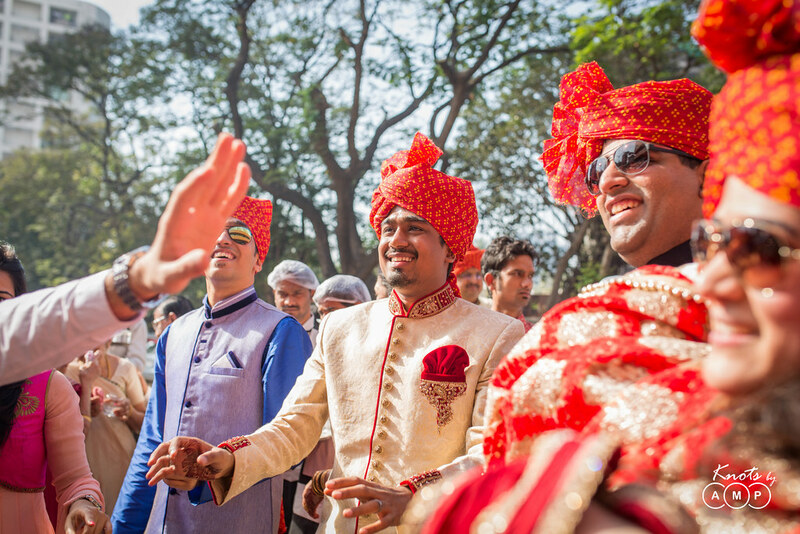 Kanan and Nirav stood like two friends redefining their relationship with each other, as they did 3 years back. Their relationship goes back to the long drawn conversations at foyer tables in college, growing into a friendship that they dearly cherished. 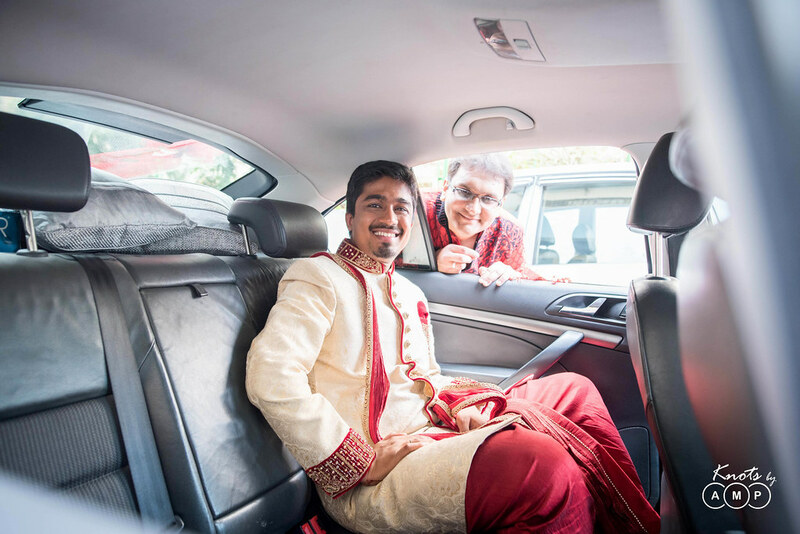 Kanan is an advocate by profession and Nirav work as an Economists. 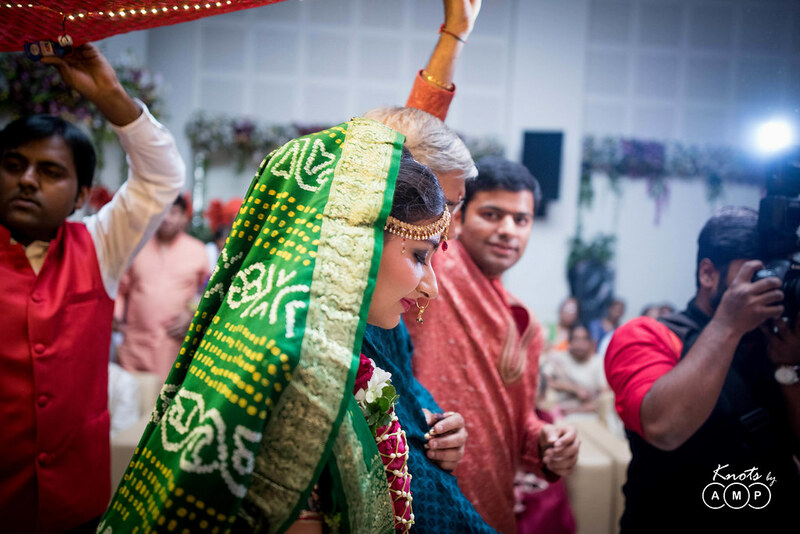 Their love story began on a chaotic night at the Delhi railway station while Kanan made a pit stop during her trip. 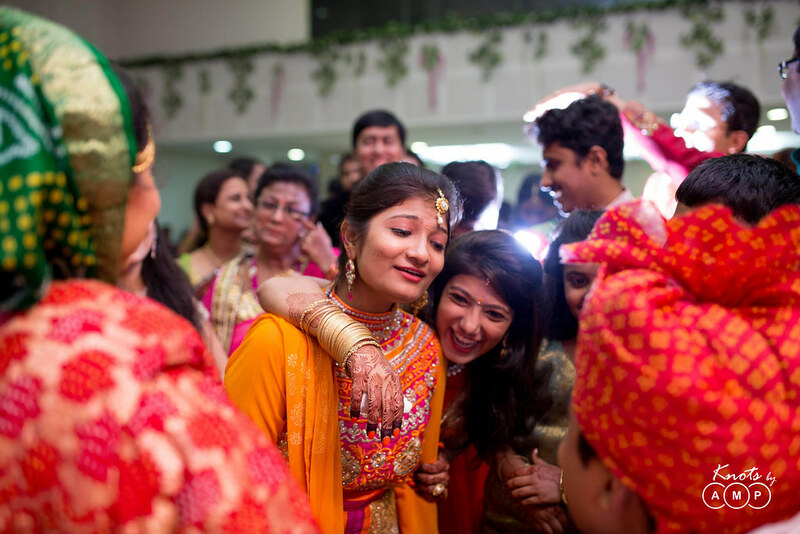 Those special moments made them realize that they shared a bond much stronger than just being friends. 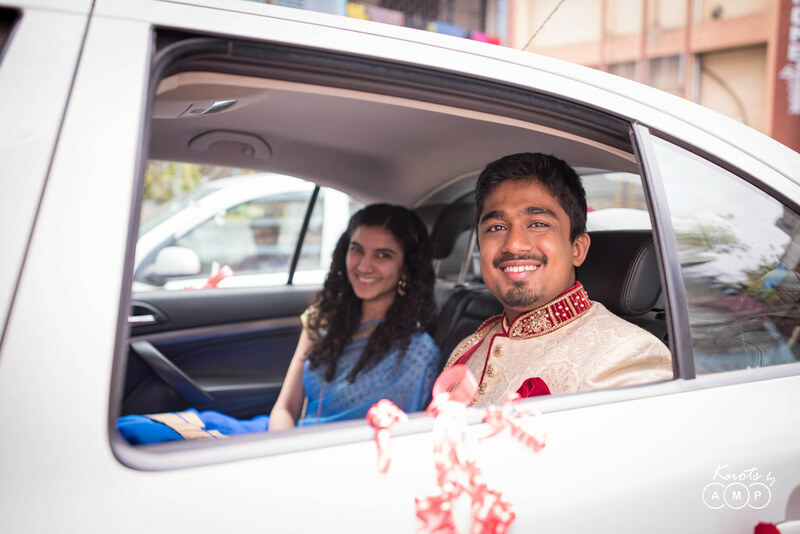 As she boarded her train back to Bombay one text message paved the way to making 30th December happen for Kanan and Nirav. 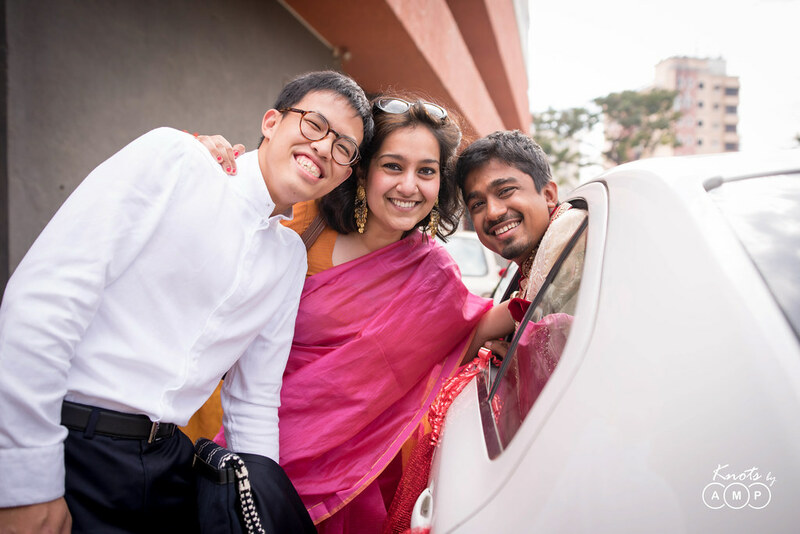 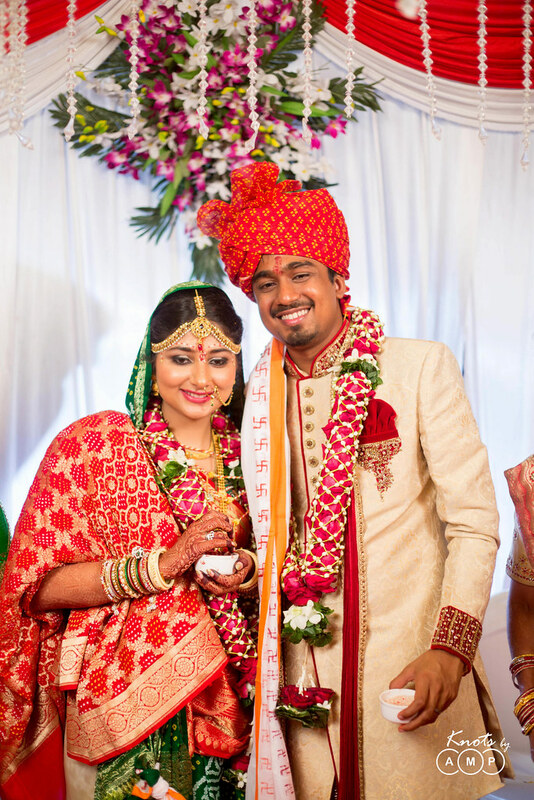 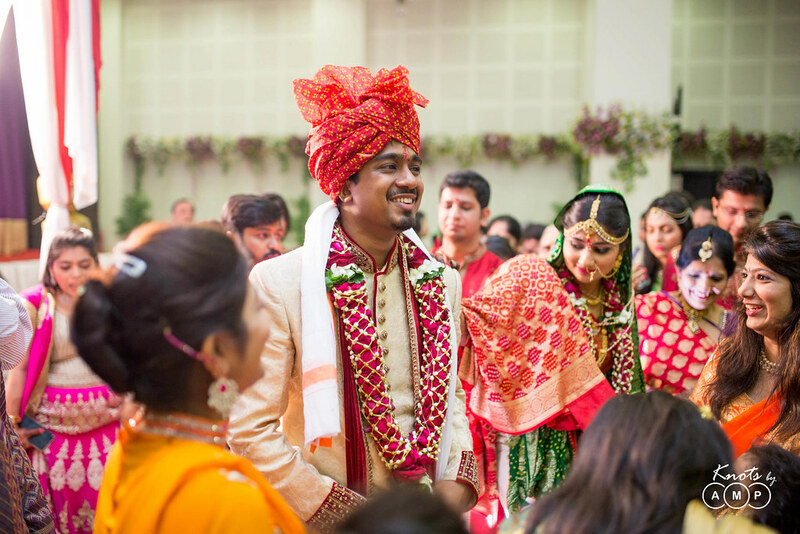 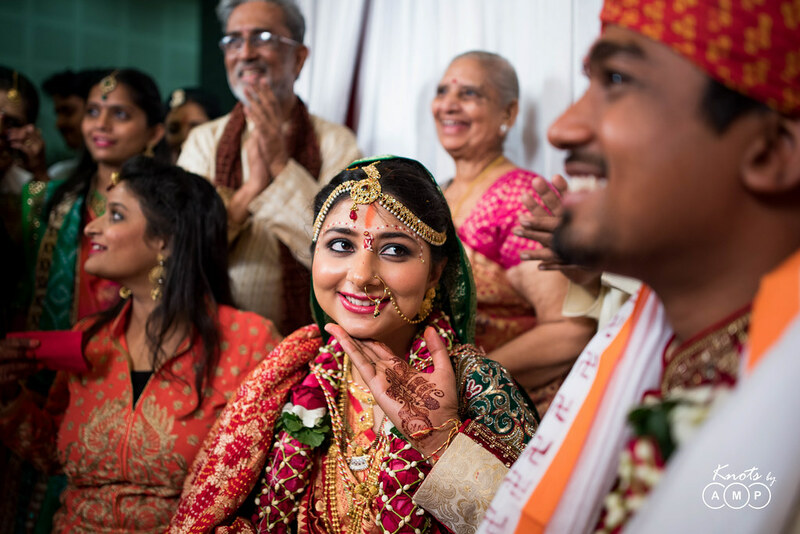 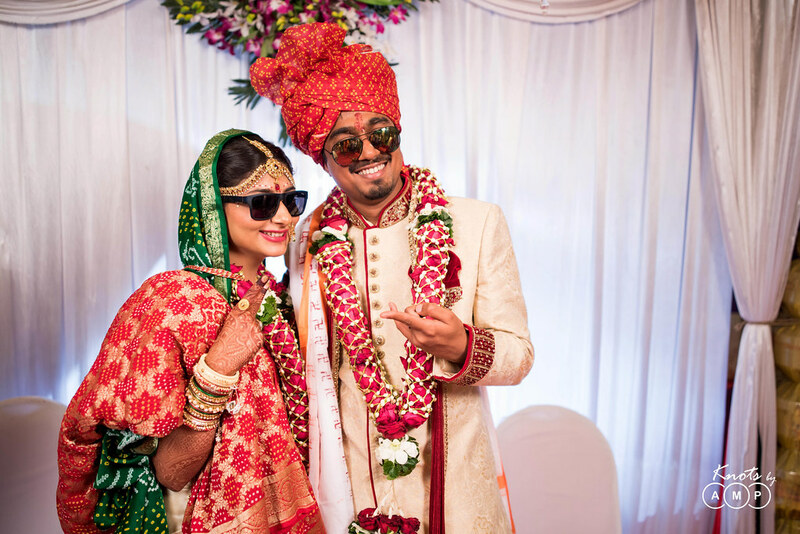 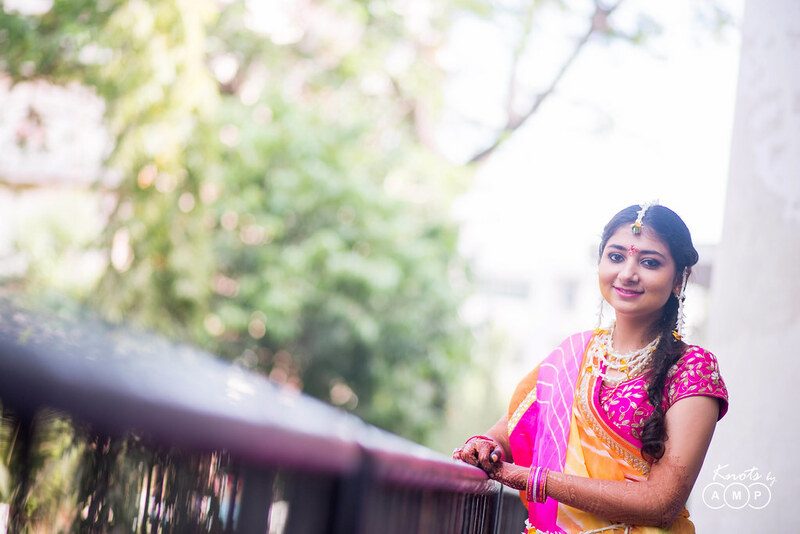 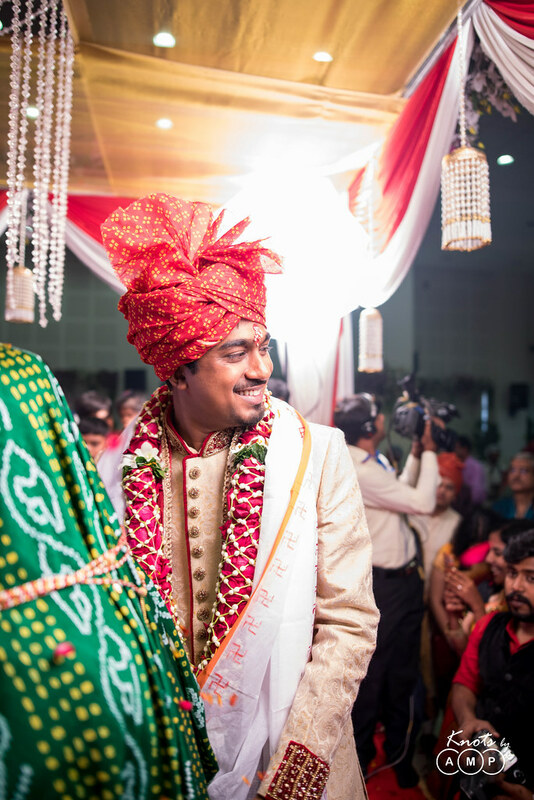 In the last three years, Nirav moved around for work within and outside the country, but their love stood the test of distance bringing them closer. 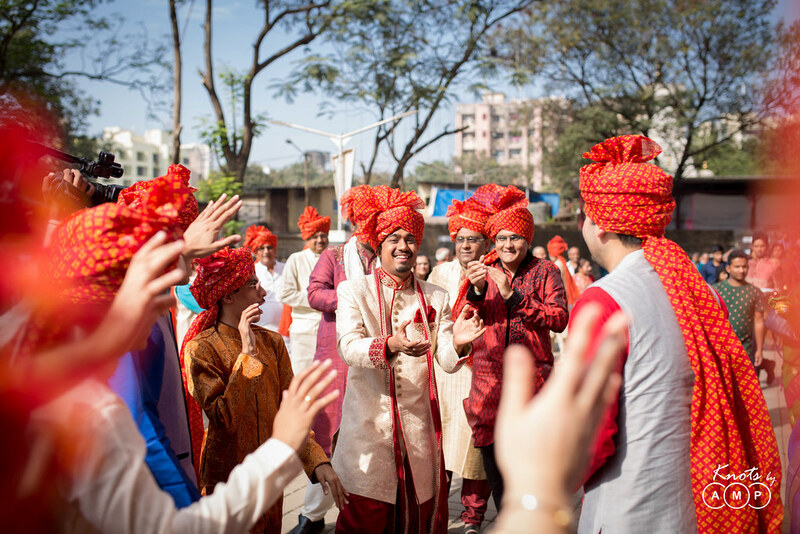 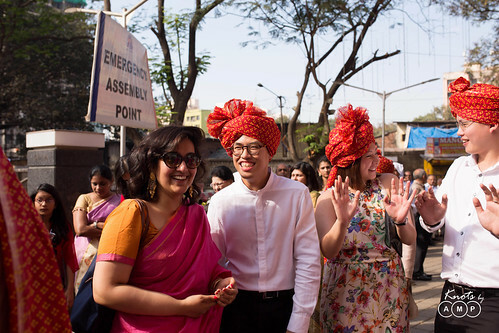 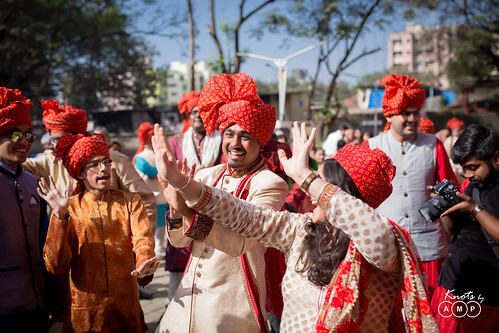 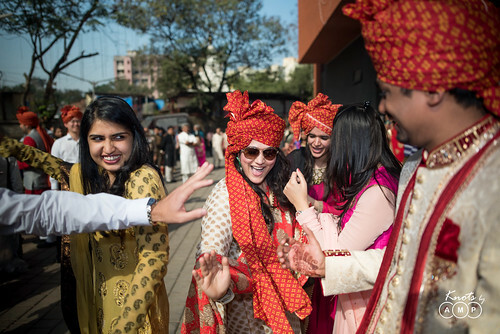 The marriage took place in Andheri following the Gujurati tradition. 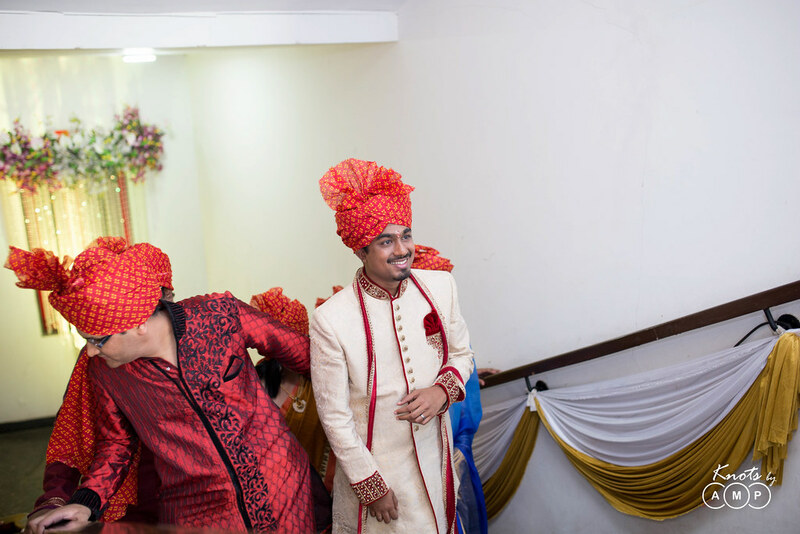 Stunning entry of the bride, groom’s enthusiastic baarat and the joy shared by all to see these two make it together was what made the day special. Shooting a well-planned wedding is the first step towards a great collection of photographs. 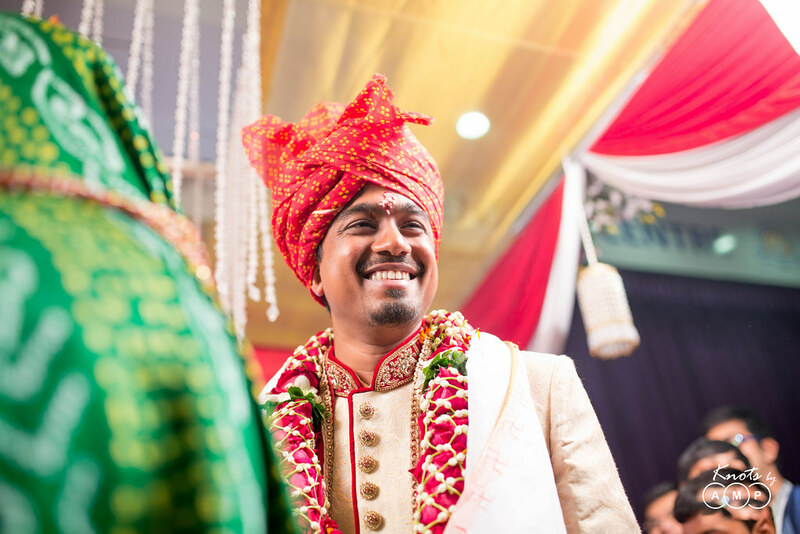 Kanan and Nirav’s wedding gave us the perfect space to do that. There was a fabulous vanity van which was the innovative gift the two fathers came up with for the couple’s wedding day. As the baarat prepared to leave from the groom’s house, the bride was preparing to begin the pre wedding rituals. 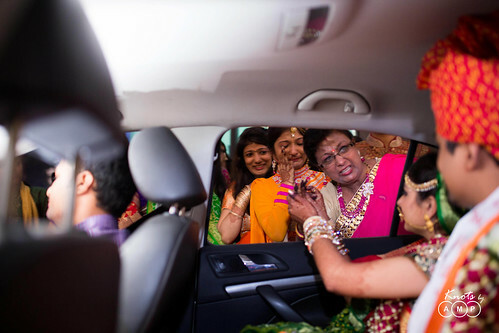 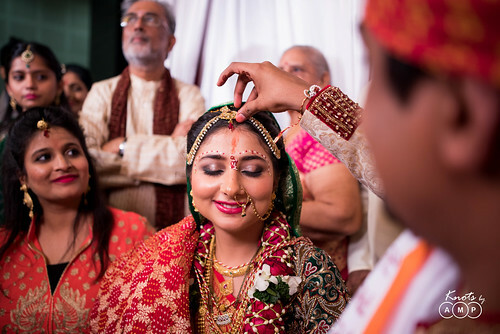 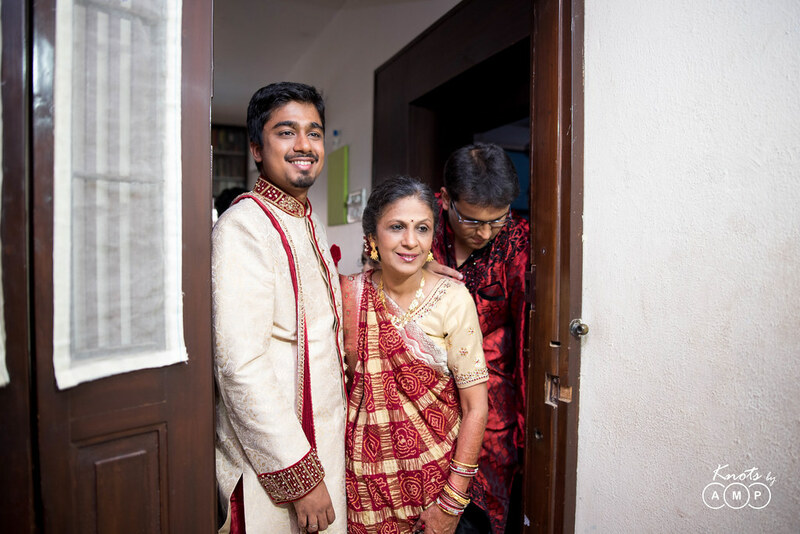 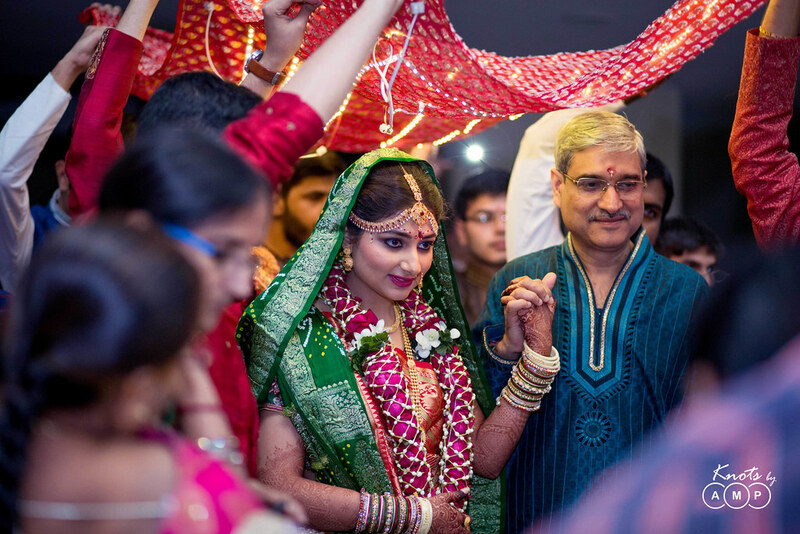 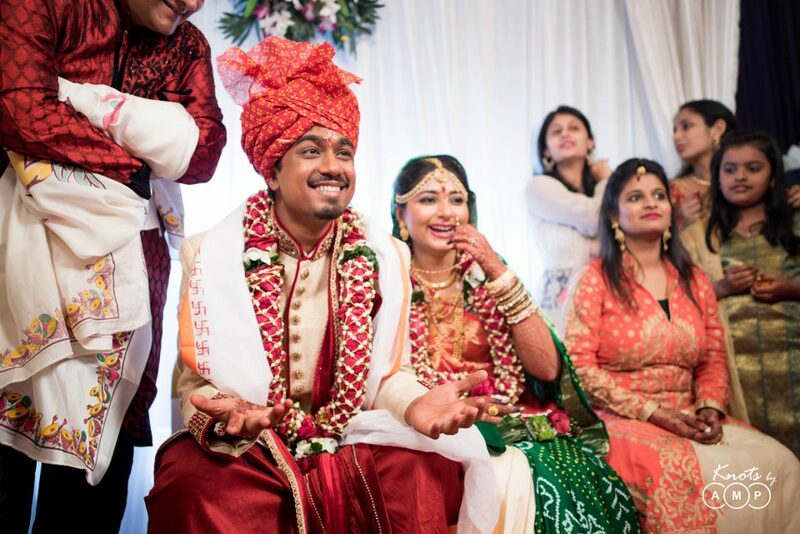 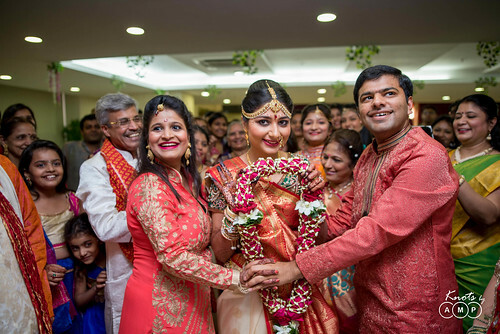 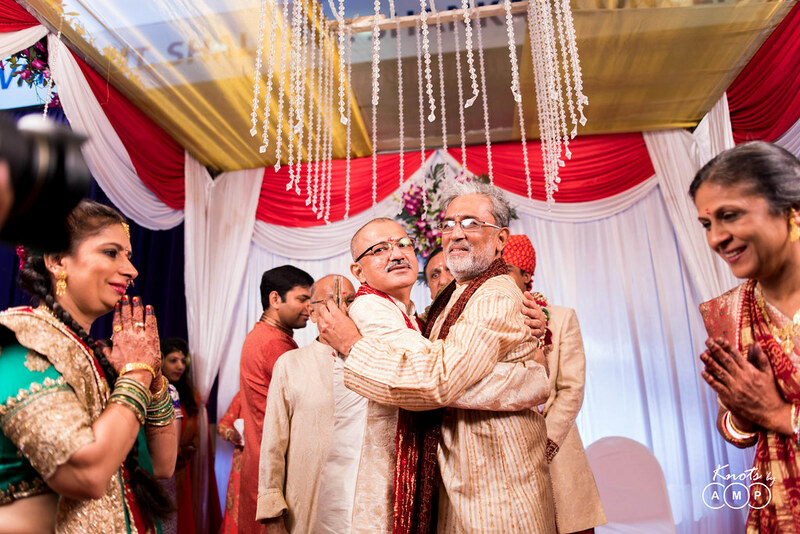 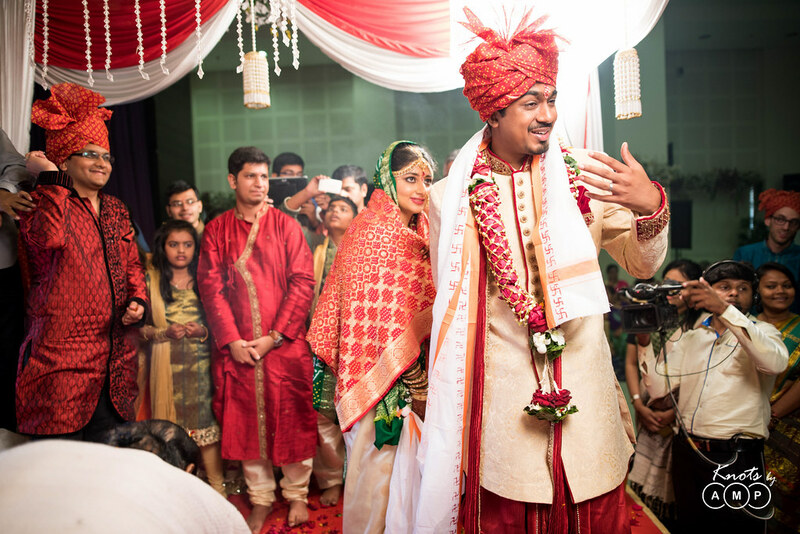 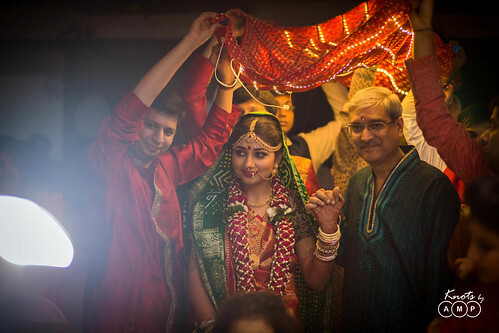 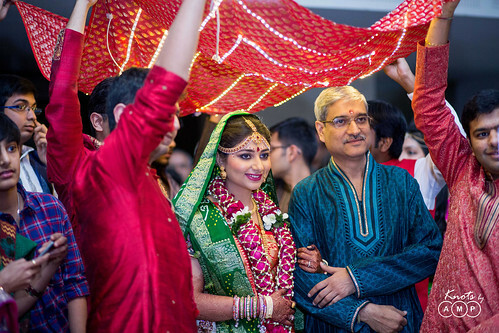 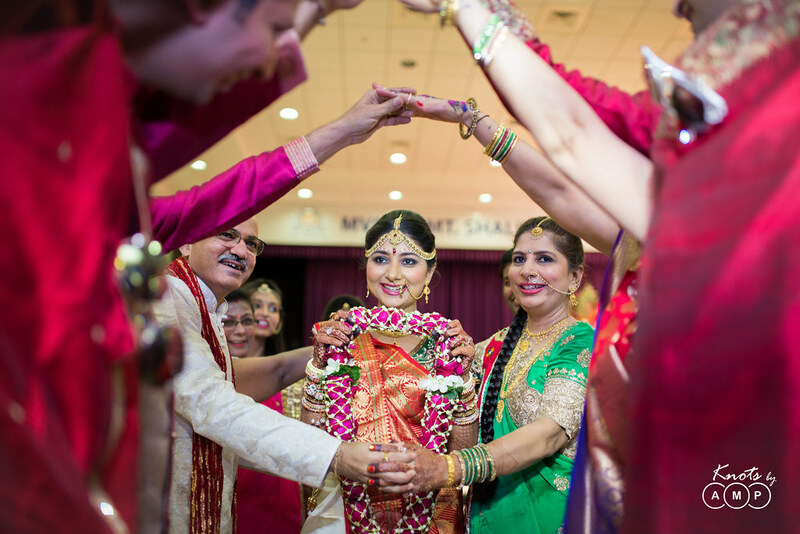 It began with the mandap sthapna puja and Kanan’s brother’s thread ceremony. 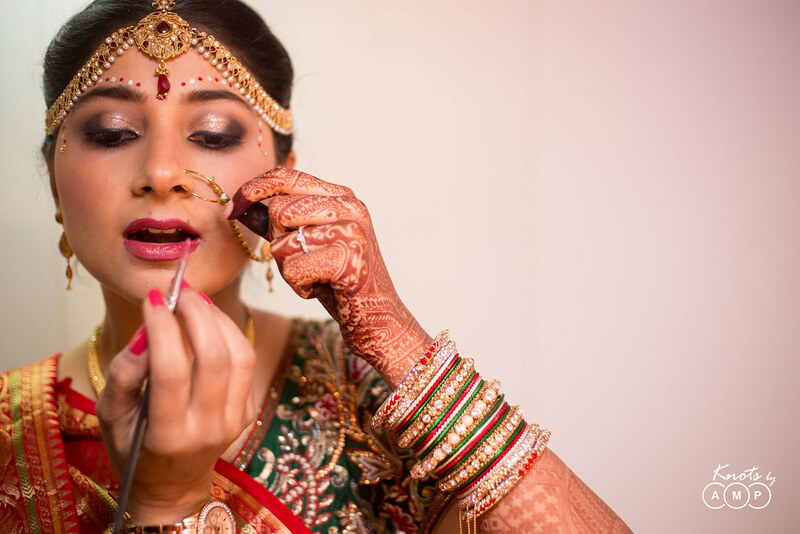 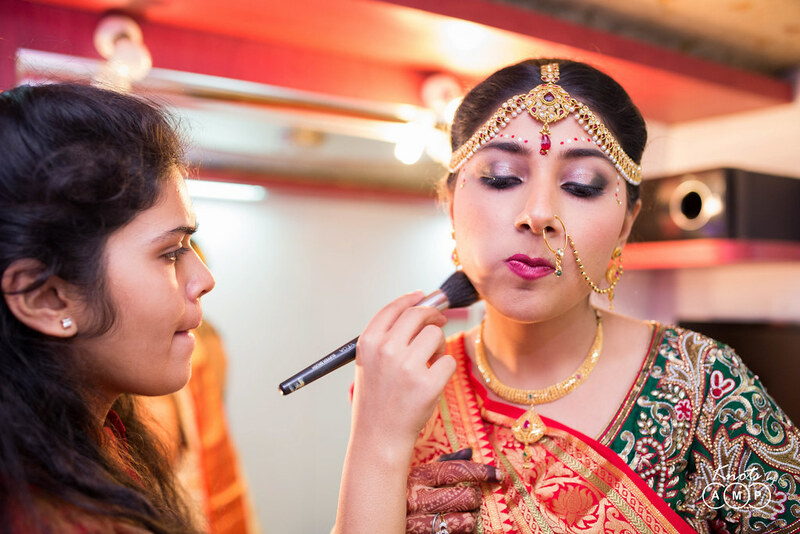 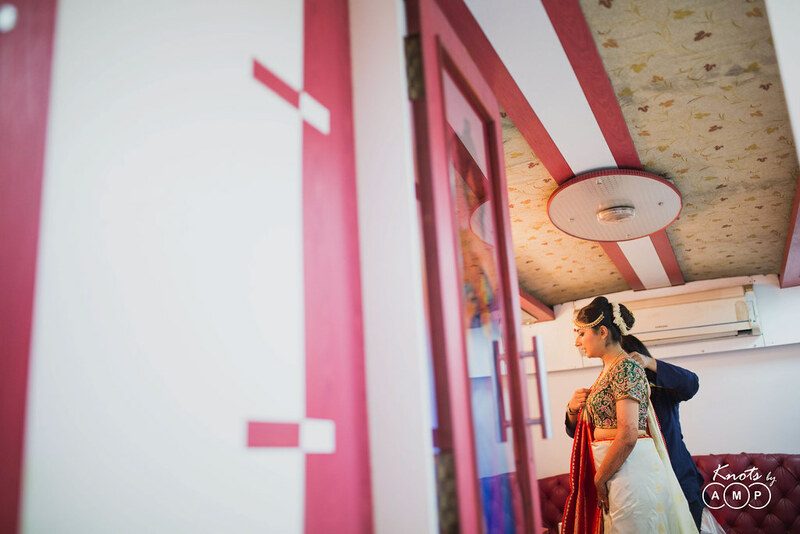 She then stepped into her Vanity Van to get ready to welcome the groom. 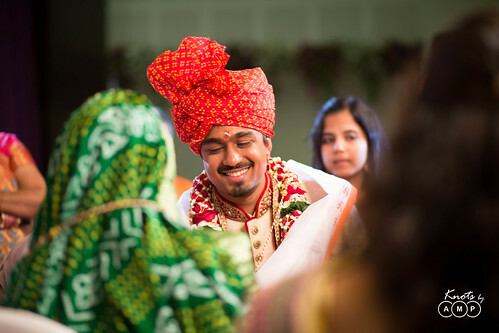 Every little ceremony was planned with great precision and creativity. 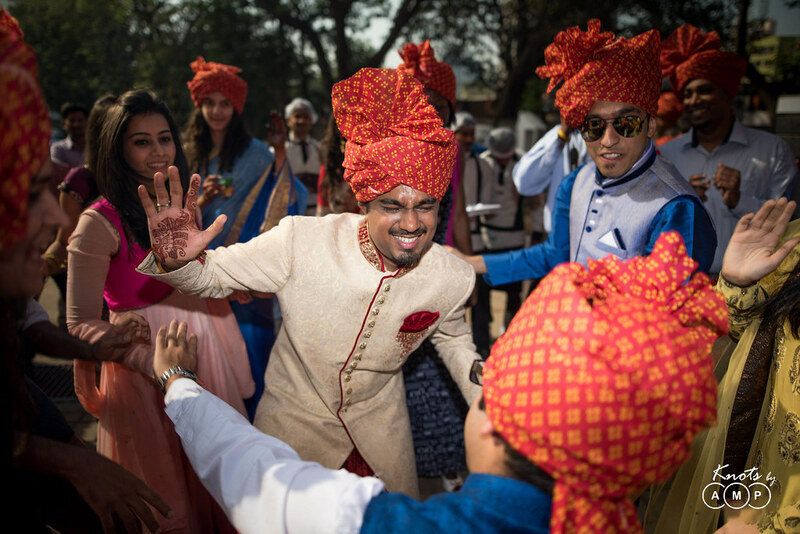 As Nirav arrived with the baraat, filled with thrilled faces of common friends and family members, Kanan was all set to welcome them. She walked through the ‘gate of hands’ to get to the groom. 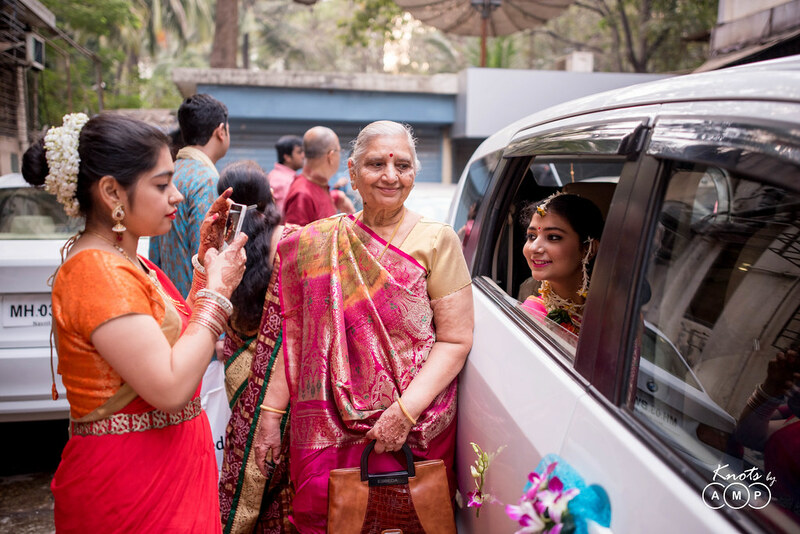 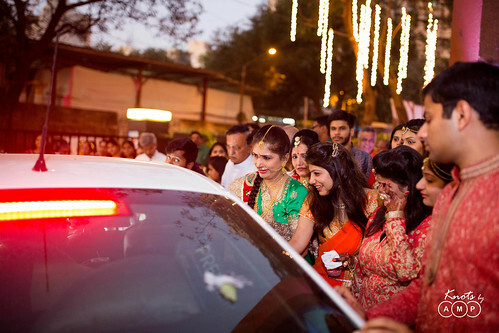 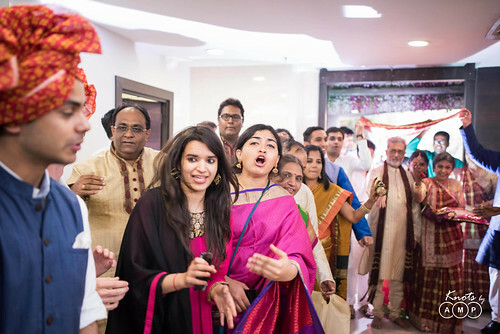 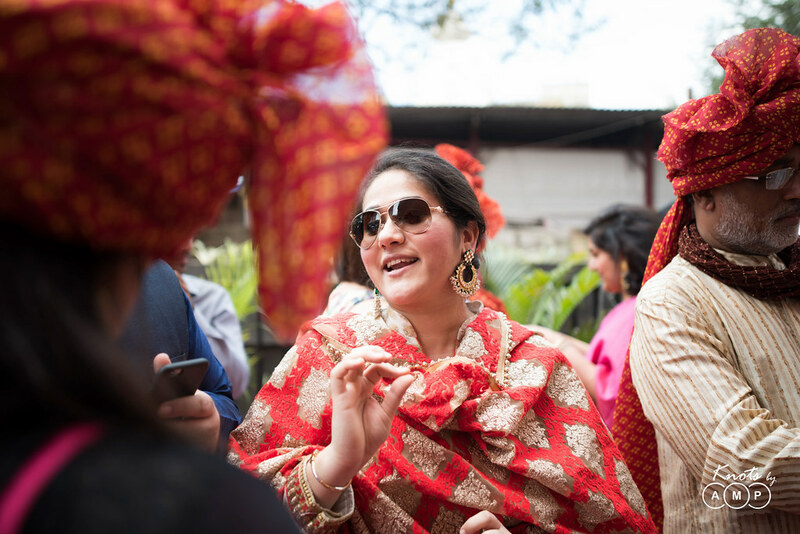 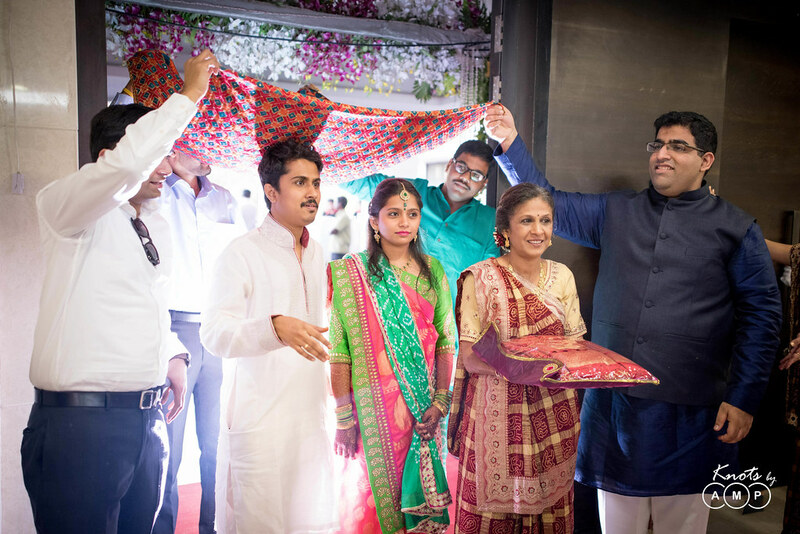 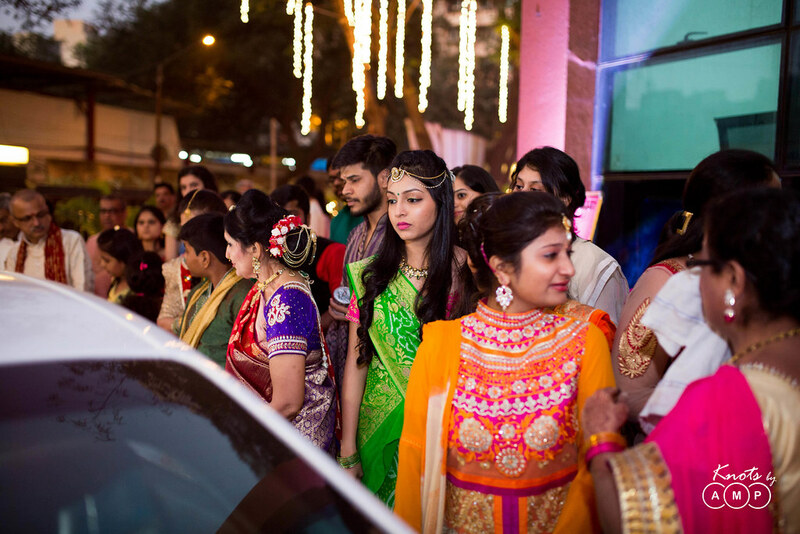 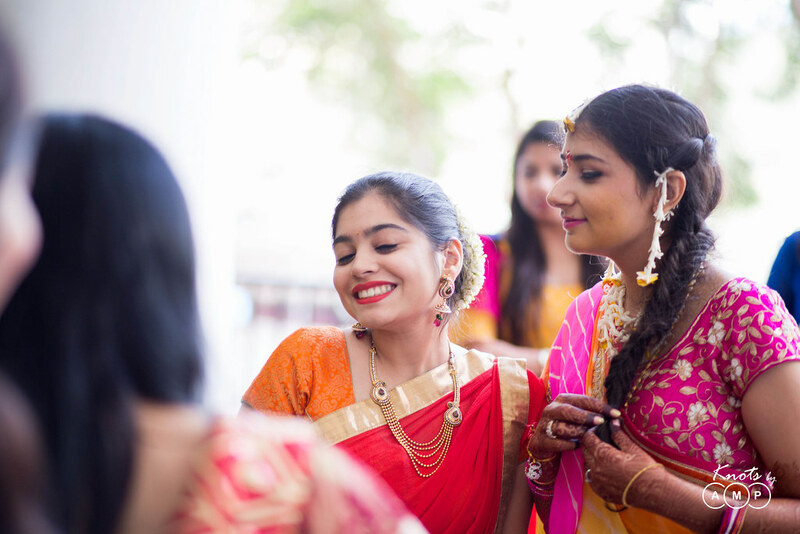 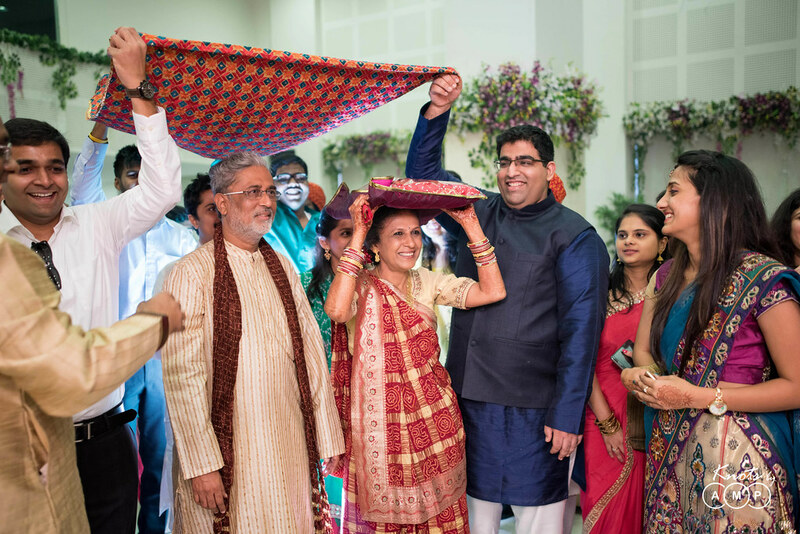 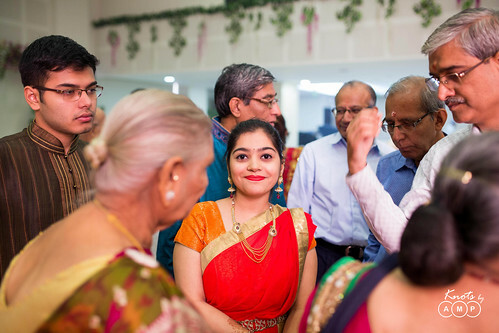 In the Gujarati tradition as the bride is walking to the groom the folks try to trap her at the gate. 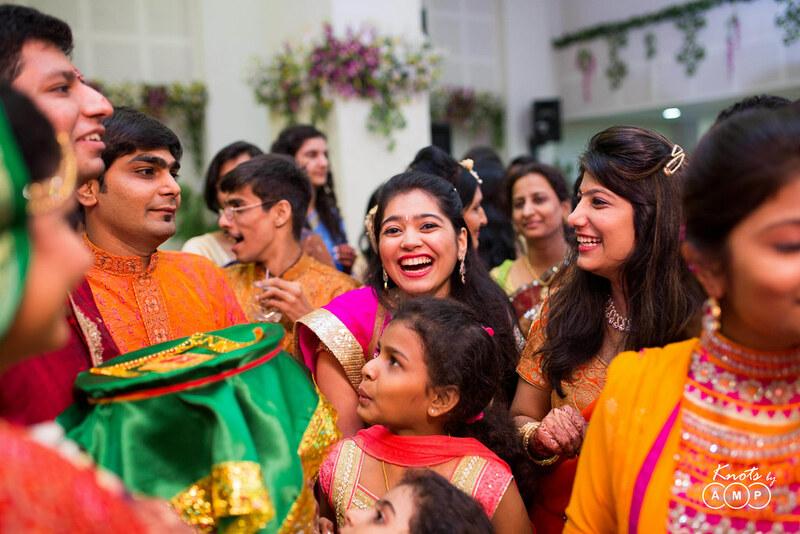 The pictures capture all the naughtiness of the folks and the how Kanan makes her way to welcome Nirav. 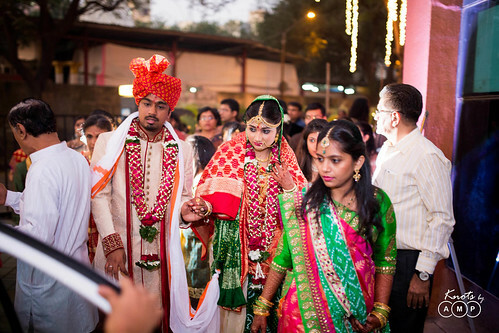 The excited couple, finally caught each other’s sight and greeted each other with garlands. 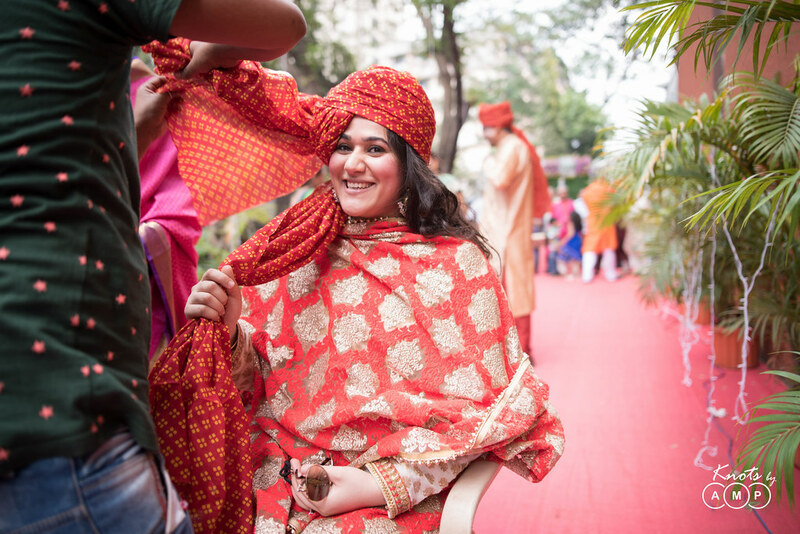 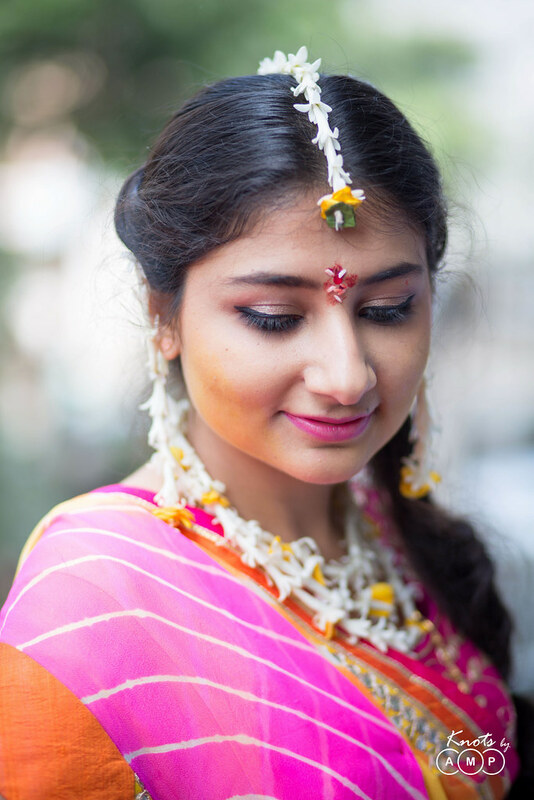 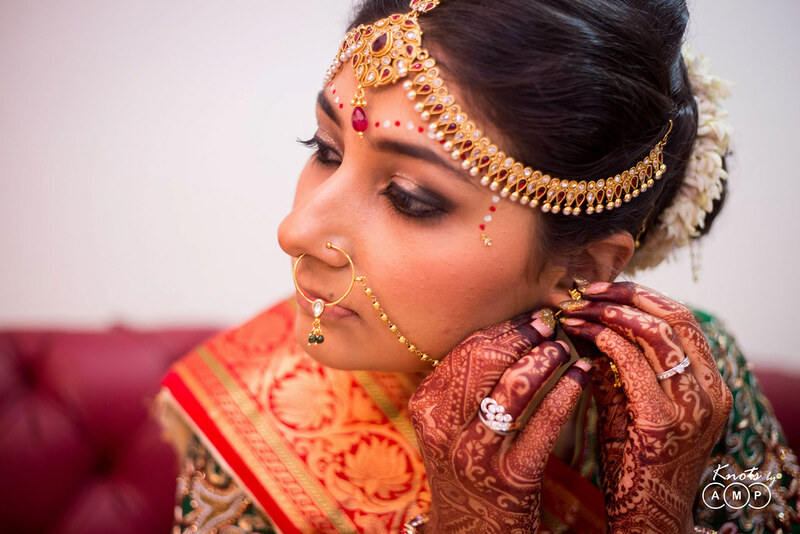 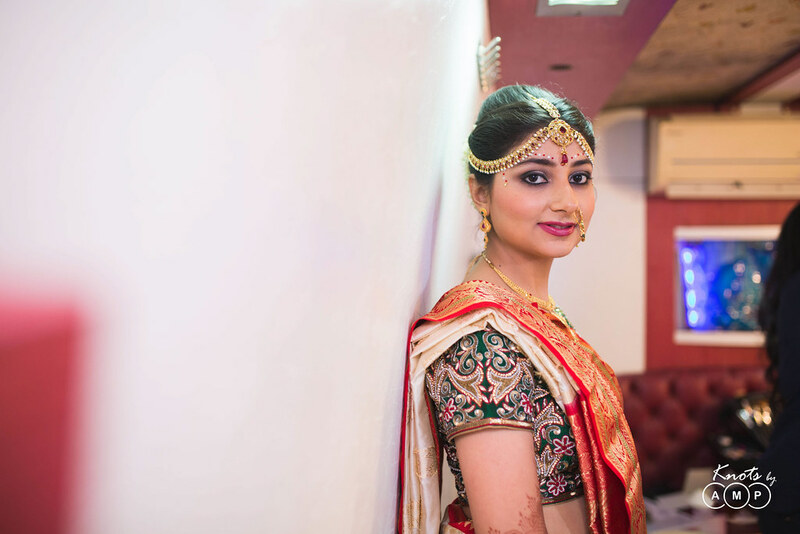 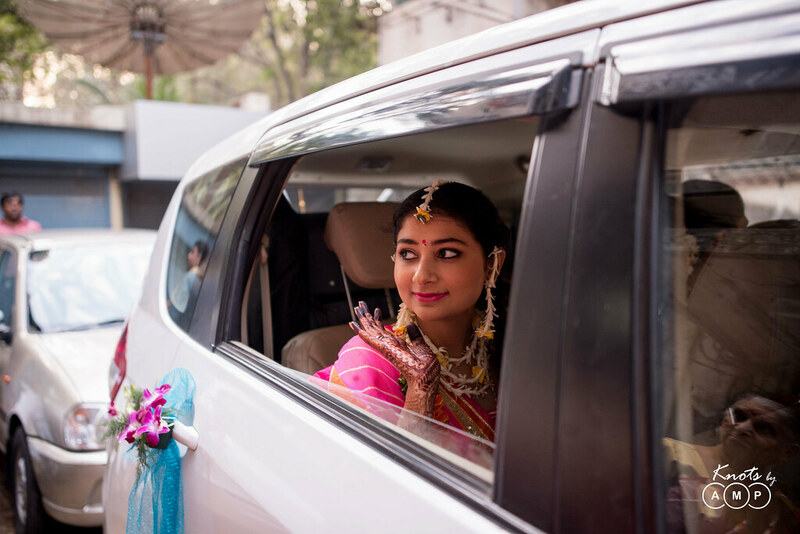 The bride then poses for a grand entry at the Mandap where the groom is waiting. 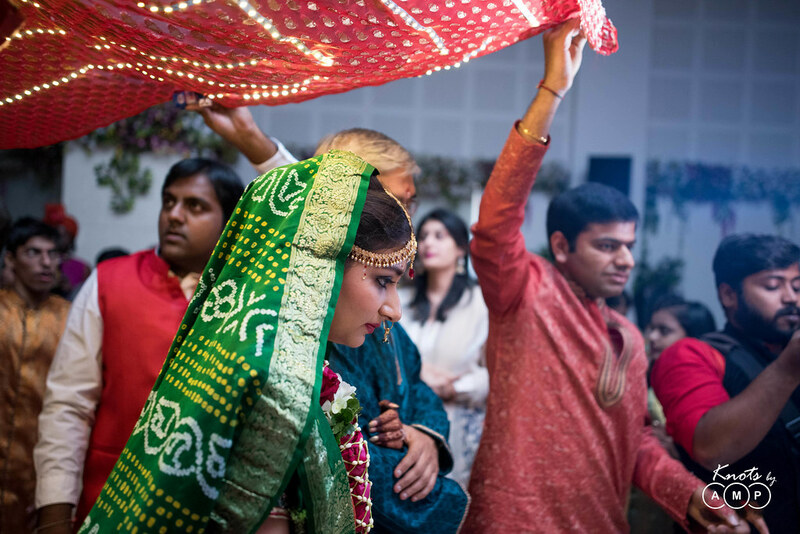 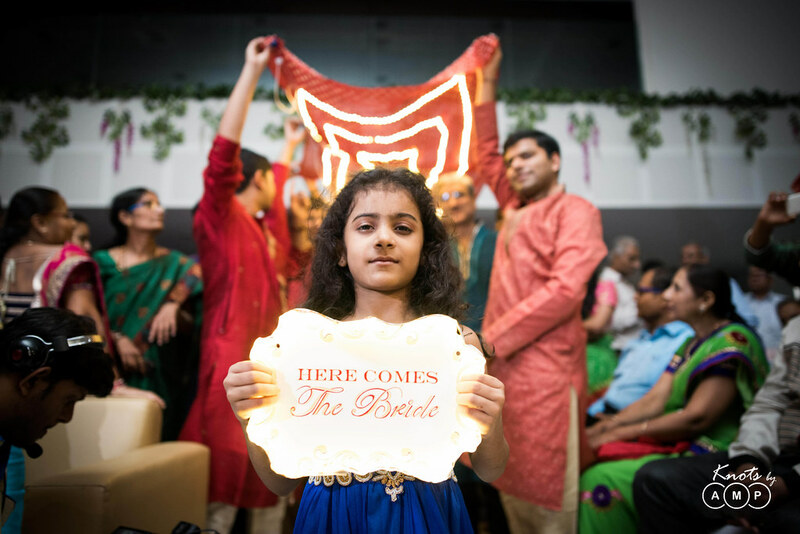 She is escorted by her Mama under a beautifully lit chaddar headed by a tiny tod holding a banner saying “Here comes the bride”! 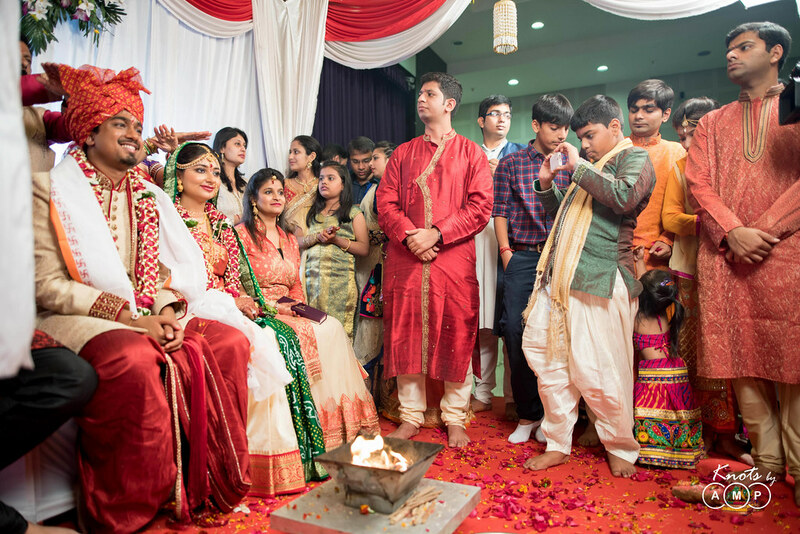 At the mandap the final wedding rituals are proceeded. 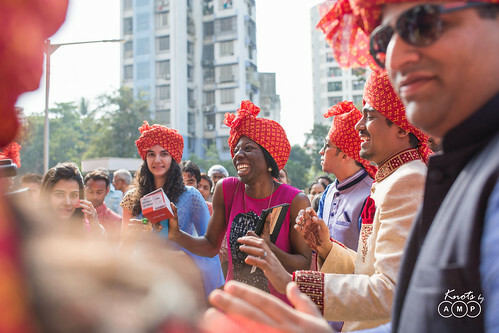 It was indeed a unique wedding in many ways. 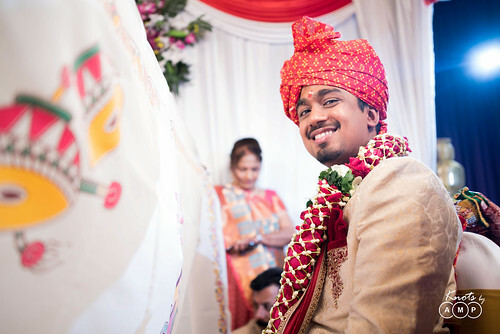 The guests were given little guest cards to write on and leave their wishes and blessing for Kanan and Nirav. 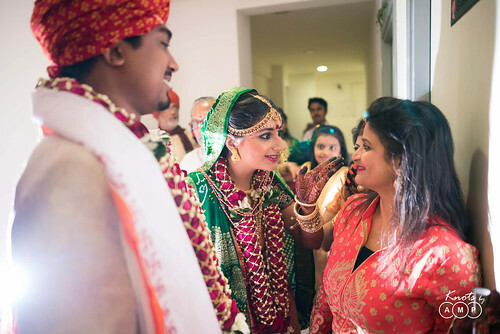 Every picture captures the excitement and naughtiness of the couple as they be the two beautiful friends committing to be there for each other, forever. Wonderful post. 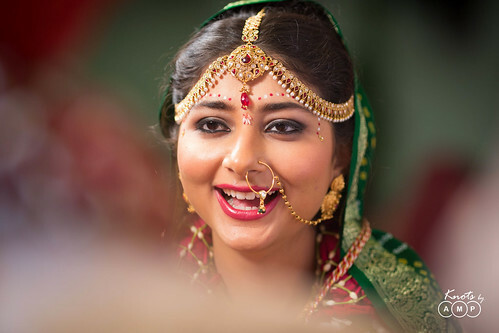 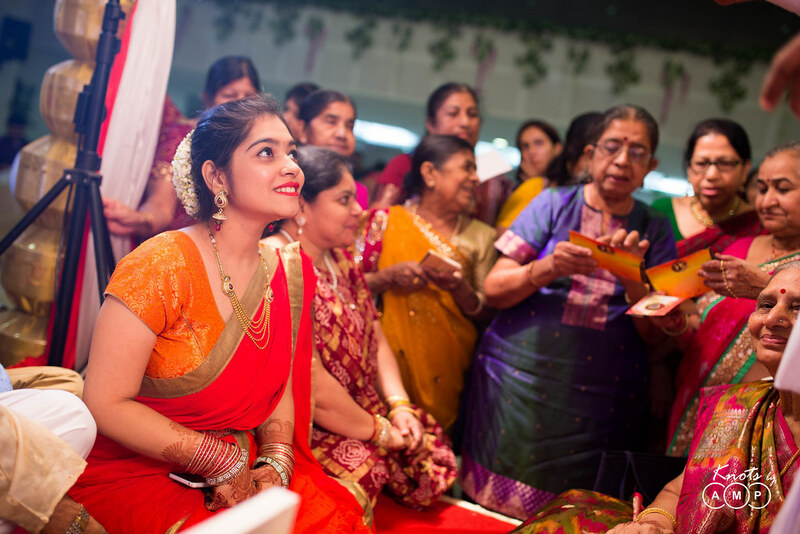 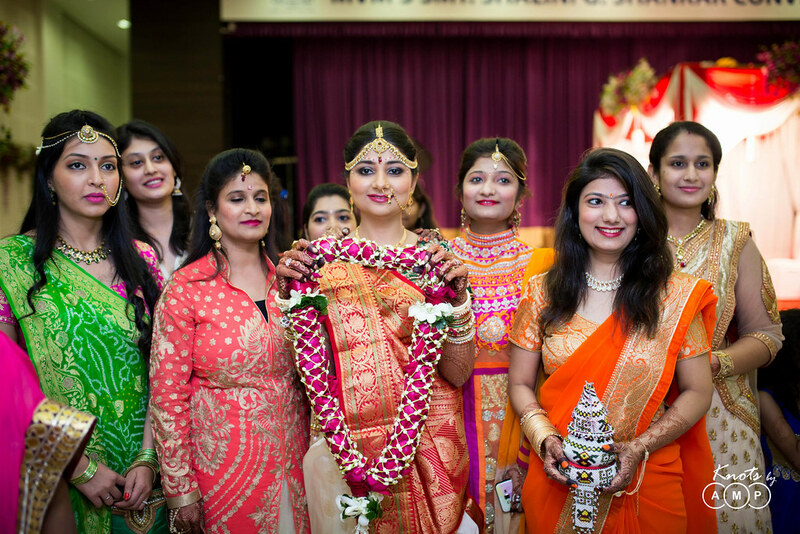 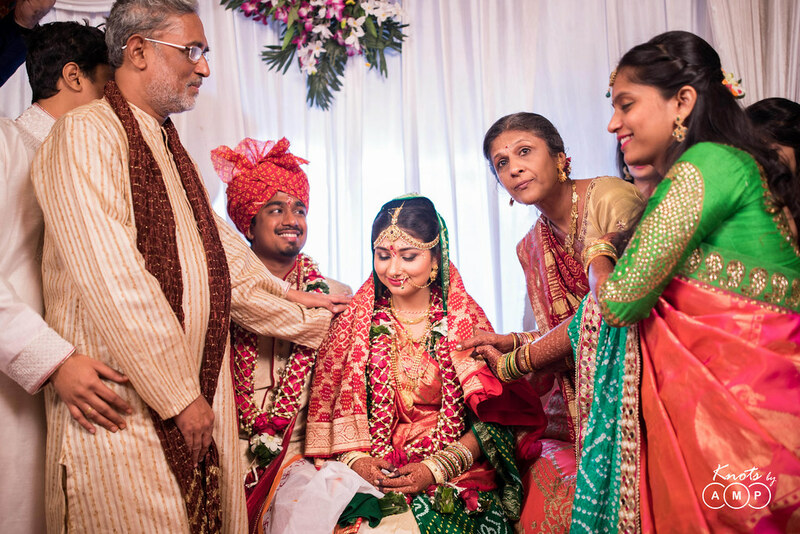 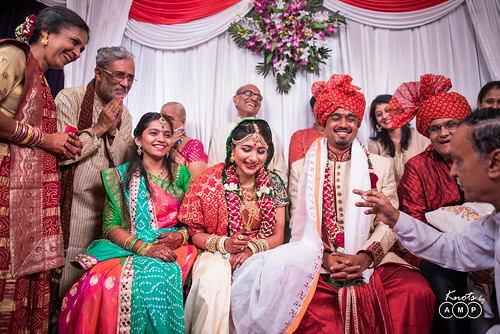 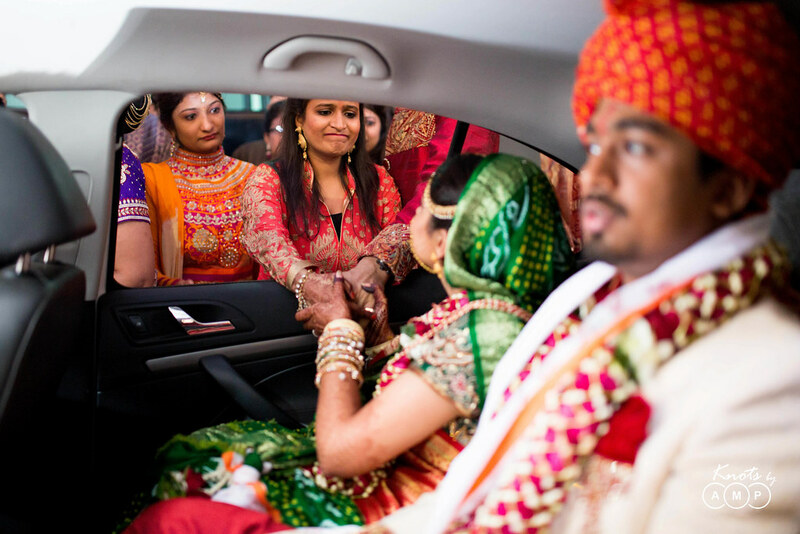 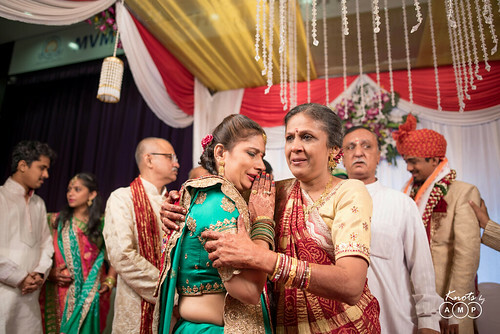 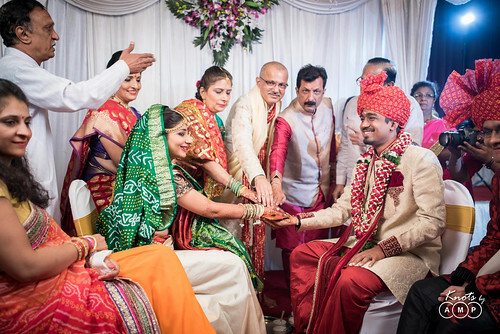 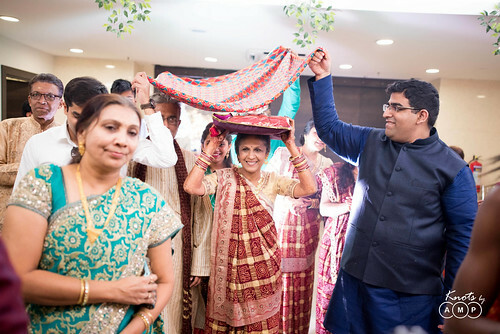 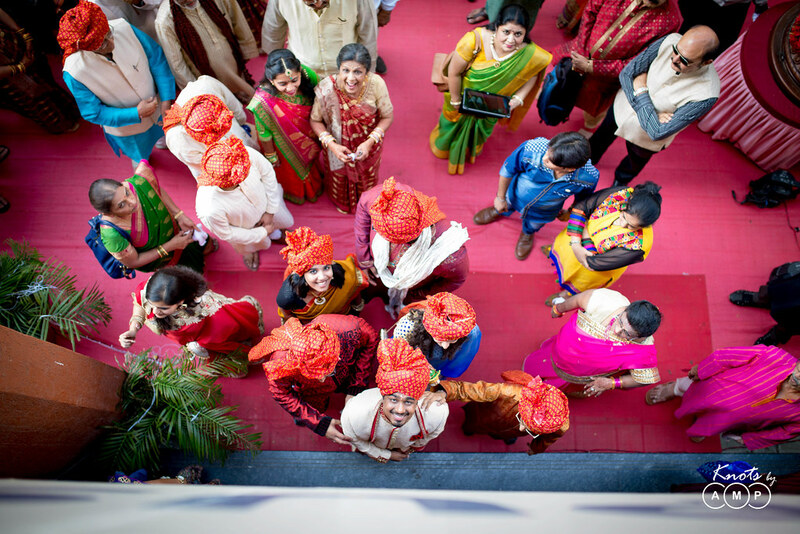 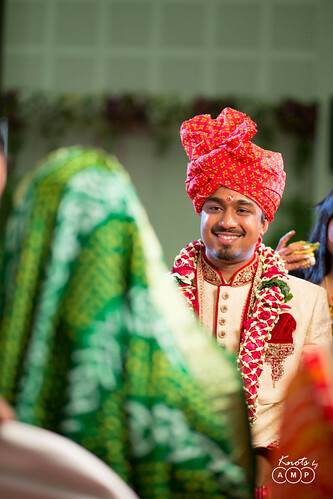 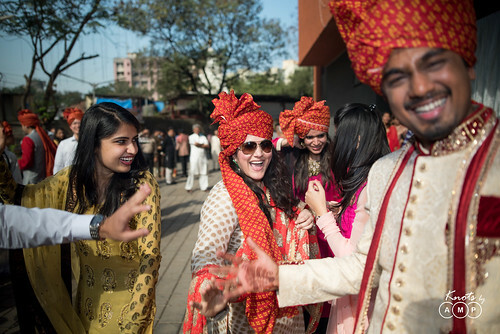 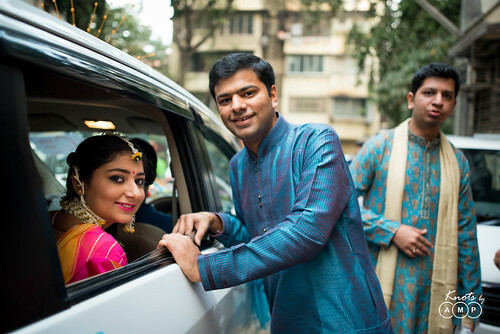 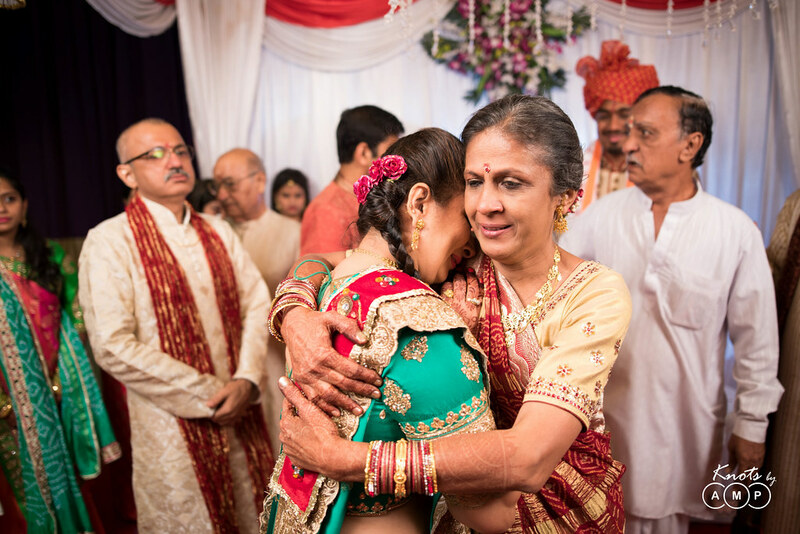 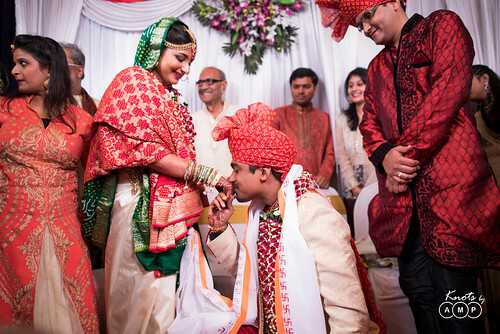 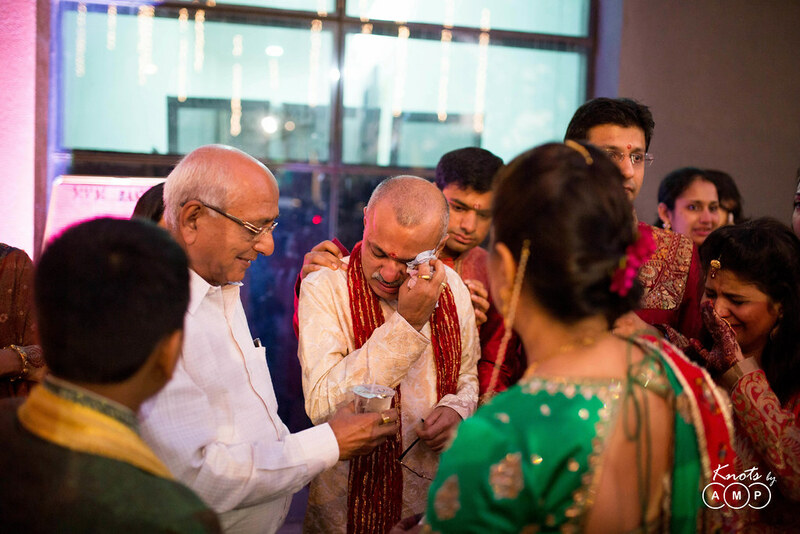 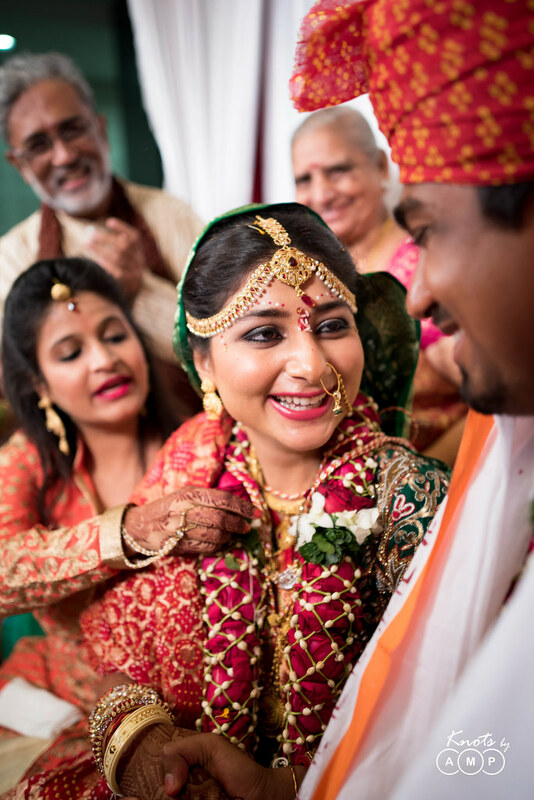 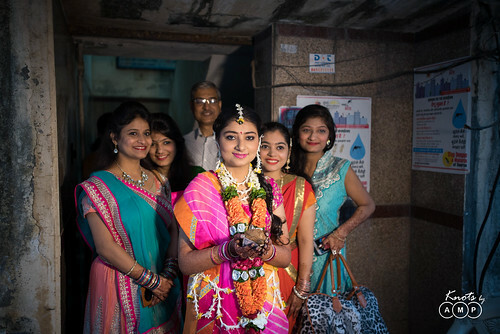 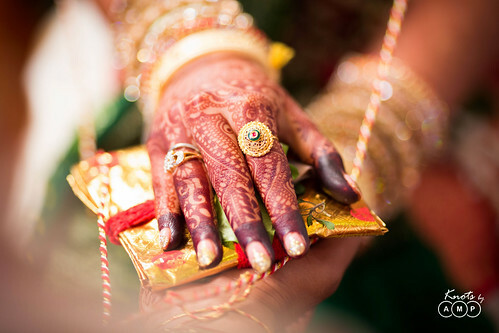 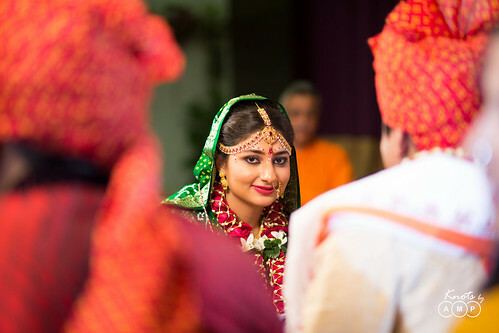 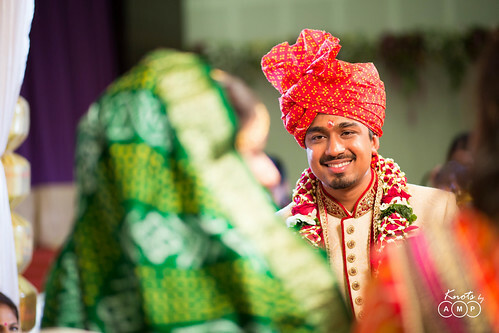 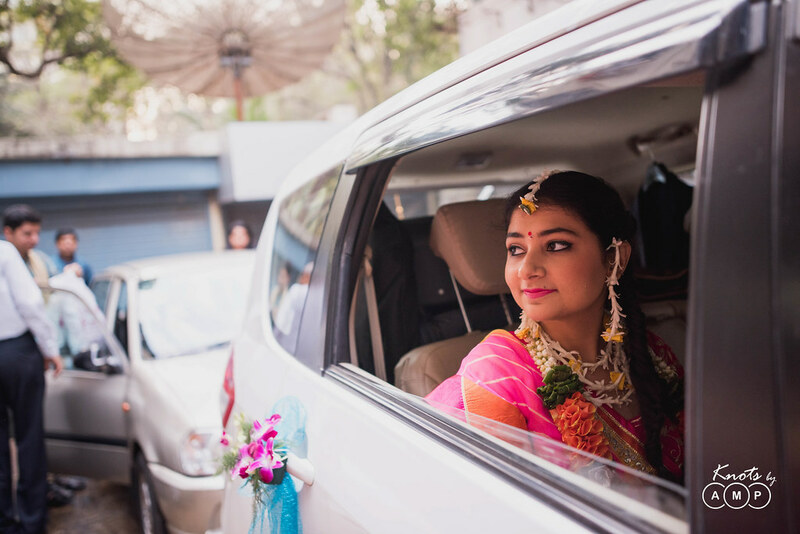 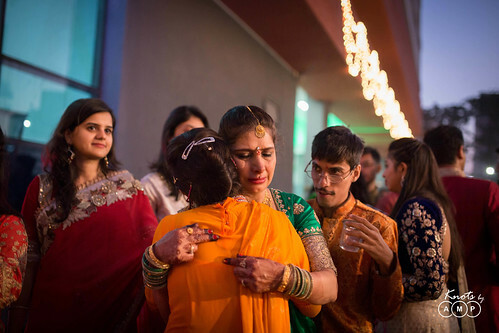 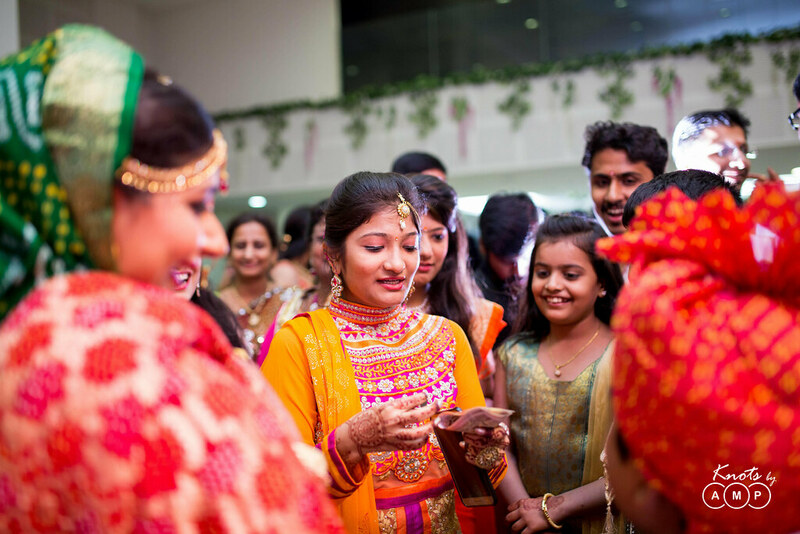 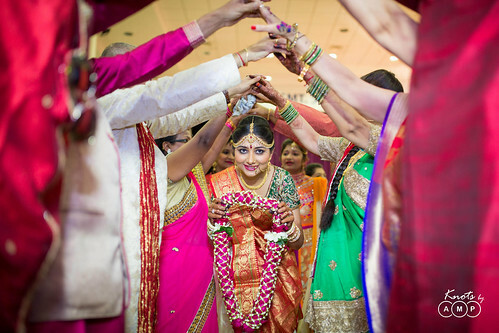 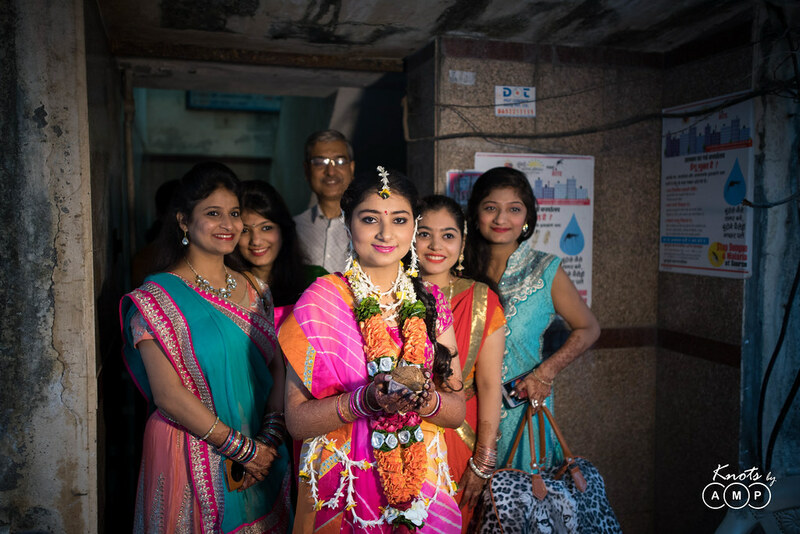 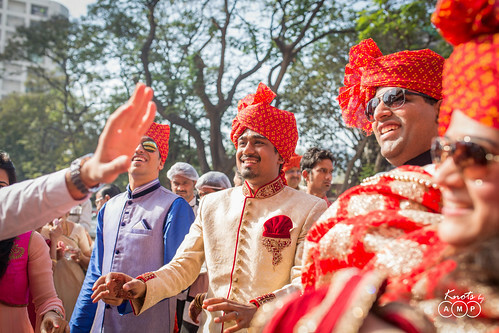 The pictures are really beautiful showing the different customs of a Gujarati wedding.  All the events, fun, excitement are captured in a perfect way. 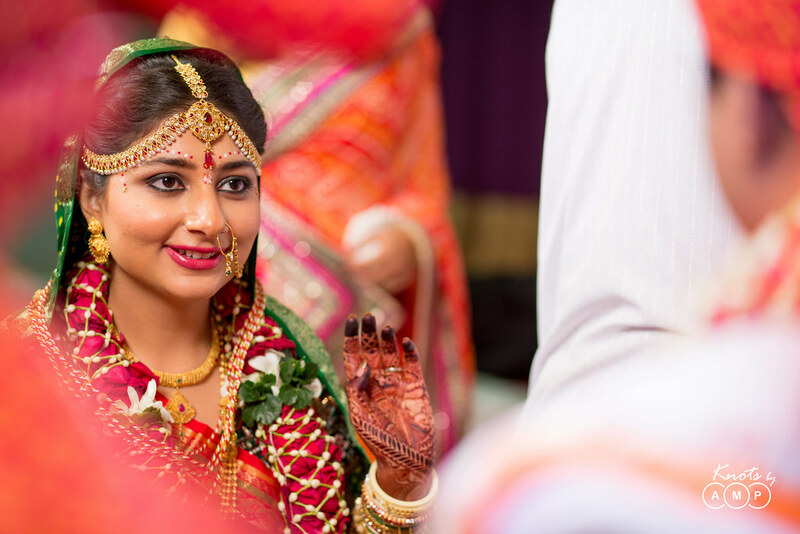 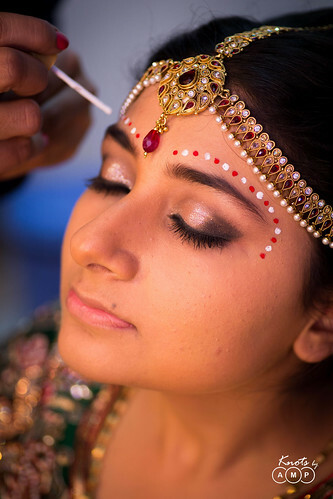 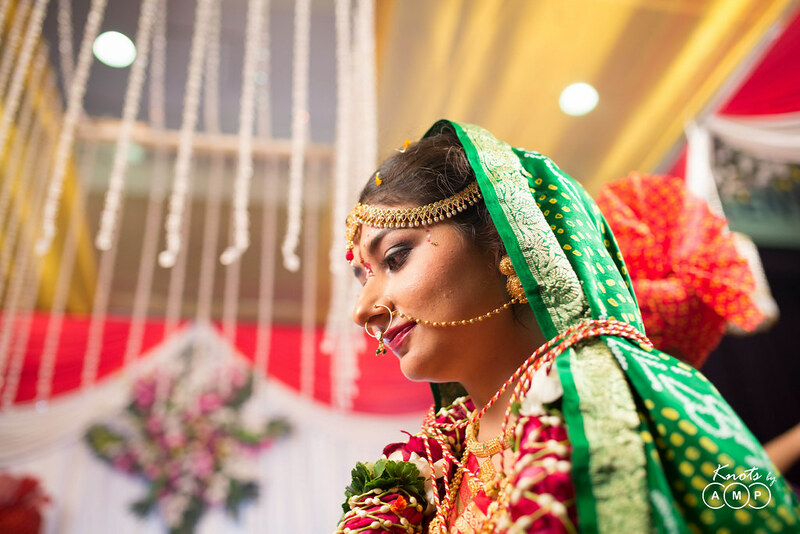 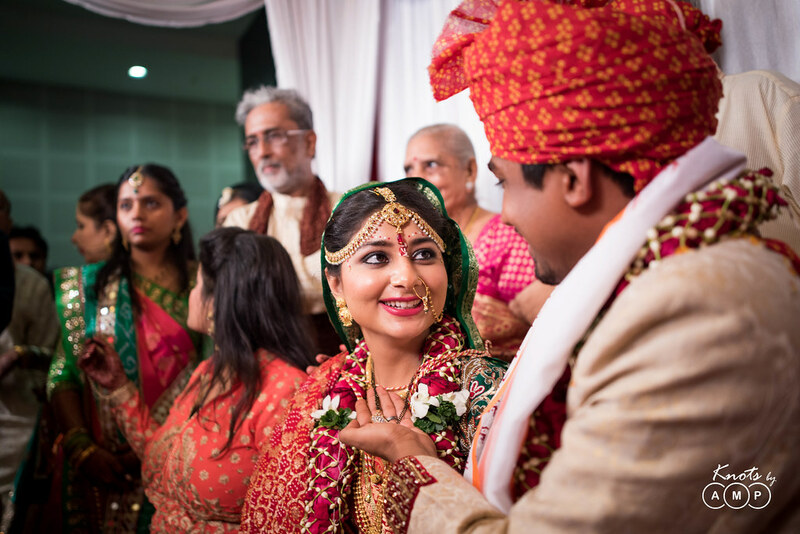 To know more about the finest wedding photographers in Mumbai, check out BuildMyEvent.